Living their ordinary everyday lives, people create their identity and history and form culture by which they are recognized. 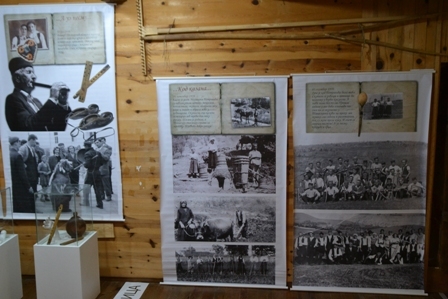 The exhibition Diary of a Century, through documentary photographs and a short narrative form (extracts from the diary of a rural teacher), shows some segments of personal and public social events and circumstances in the life of a family in a mountain village in western Serbia during the 20th century. From the perspective of "a private narrative" we could observe not only private history, but also great historical events, different ideological frameworks, economy, culture, housing, clothing, beliefs, rituals and customs. This was the reason why the form of Diary was chosen for it made possible to tell all segments of life of an individual, simultaneously displaying cultural context in which the events took place. 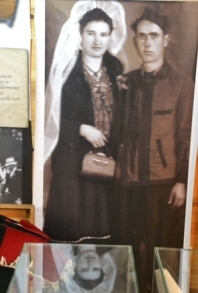 In Serbia, as well as throughout Europe, the 20th century is seen as a dense historical time that shows changes in human life best due to deep-rooted traditional framework of the previous century, but also to a number of processes that emerged and disappeared. The inspiration for the character of the narrator came from Dr. Rade Poznanović (1924-2014) who made a great contribution to the study and interpretation of our cultural heritage first as a village teacher and then as an ethnographer. The authors of the exhibition were M.Sc Jelena Toskić and Dr Nikola Krstović, senior curators of the Museum.